destined for one of the book projects that i want to start working on soon. 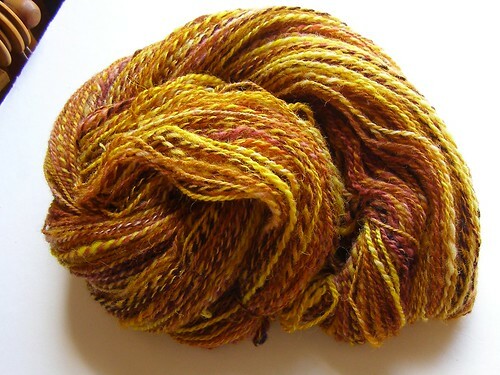 This entry was posted in cosyknitsliterally, cosyspins, dyeing, handspun, knitting, spinning by cosymakes. Bookmark the permalink. I love this colorway! Perfect lovely gold with lots of depth, Wow! I especially am falling for yellows this season! haha. mine was totally dyeing for herself. but it’s always fun to dye with others.